FRACK FREE SUSSEX Let's keep it that way! The government plans to allow various extreme energy extraction techniques including fracking and acidisation for gas and oil across the Sussex Weald. To be economically viable this would require hundreds of wells to be drilled across our county. 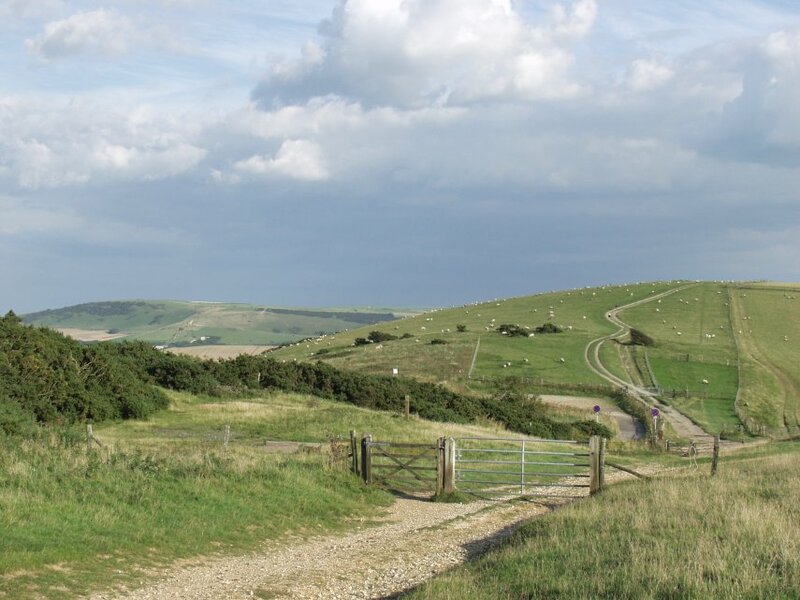 Our downland, meadowland, farmland and woodland would be subject to wide-scale industrialisation. There are many peer-reviewed studies that show that towns near fracking sites in the US have seen cancer rates rising, water supplies running out and the poisoning of land, livestock, pets and people by hazardous air pollutants. Water that was once pristine is now so contaminated with methane that it can be set alight. Industry studies show 5-7% of all new oil and gas wells leak and ALL wells will leak eventually. Over the past decade, the USA has led a rush for new natural gas using a controversial drilling method. Hydraulic fracturing or “fracking” injects a mixture of water, sand and chemicals under high pressure into dense shale rock formations to crack the rock and release natural gas. Conventional fracking has been around for decades, but the techniques, technologies and chemicals used to reach new, remote gas reserves are far more intensive and risky than conventional gas drilling. 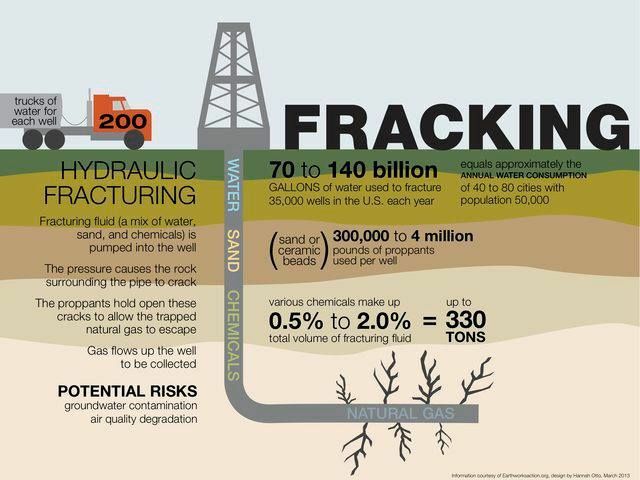 The type of fracking being proposed in the UK is HIGH VOLUME SLICK WATER HORIZONTAL HYDRAULIC FRACTURING. It was developed by Halliburton in the late 1990's. Fracking has brought rampant environmental and economic problems to rural communities. Accidents and leaks have polluted rivers, streams and drinking water supplies. Regions littered with drilling rigs have high levels of smog as well as other airborne pollutants, including potential carcinogens. Rural communities face an onslaught of heavy truck traffic, often laden with dangerous chemicals used in drilling, and declining property values. The government continue to state that fracking is a cleaner bridging fuel whilst they phase out coal but it appears that the report they base these facts on are fatally flawed. We will be unable to meet our COP 21 climate emission targets with fracking due to the dangerous methane that is released during fracking operations. See the report here. 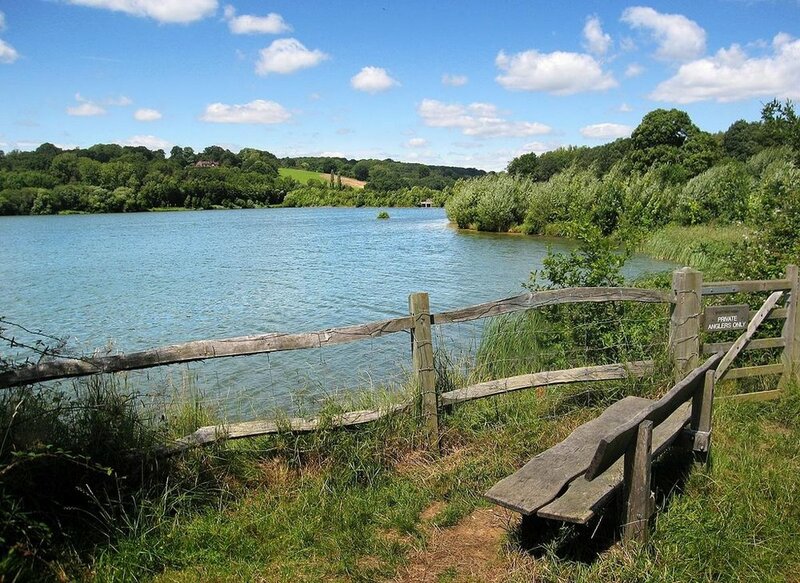 Wells have been acidised in the Weald in decades gone by, barely regulated or monitored. What is proposed now is on a different scale. One company - UK Oil & Gas (UKOG) - has promised ‘' back-to-back drilling of production wells'’ across the Weald. These are not ‘just’ vertical wells. They will have long horizontal bores that will be acidised section after section, again and again. And it’s not just about the current sites. This could be coming your way. Acidising uses much higher concentrations of chemicals than hydraulic fracturing (fracking). Fracking fluids for shale typically consist of water with 0.5% chemicals. Matrix acidising and acid fracking fluids could contain up to 17 or 18% chemicals. Given the repetitive nature of the process, acidising may use a lot of water. With no precise definitions, scrutiny or monitoring, the industry can get away with minimising their acidising operations, calling everything an acid wash, or just a ‘stimulation technique’. At well testing stage they may propose an acid wash when in truth they want to matrix acidise, in the knowledge that at production stage they will want to acidise more vigorously, at pressure. Acidising brings most of the negatives of hydraulic fracturing: traffic, road tankers, air pollution, flares, potential water pollution via spills, leaking wells and faults, processing plants, large volumes of toxic liquid waste, stress on communities. What acids and other chemicals do they use? It depends on the geology. In limestone-rich strata, the main acid is hydrochloric acid, in sandstone-based formations it’s hydrofluoric acid, one of the world’s most toxic chemicals. Formations are rarely homogenous, and bespoke treatment formulae are used to achieve desired results. Hydrochloric acid could be used in concentrations of up to 28% but typically up to 15%, hydrofluoric acid at much lower concentrations, 0.5 to 3%. There will also be biocides, polymers to make the liquid gloopy, corrosion inhibitors, detergents, solvents and other chemicals to make it all run smoothly. There has been little research on the toxicity of these chemicals. Are limestone and sandstone sources ‘conventional’? This has become a very complicated question. The government’s definition of ‘conventional’ is quite simply wrong! The national guidelines for mineral planning say that: ‘Conventional hydrocarbons are oil and gas where the reservoir is sandstone or limestone.’ Yet many limestone and sandstone sources are unconventional according to the definitions used by geologists - and indeed by the oil and gas industry when they are not dealing persuasively in ‘alternative facts’. For geologists, a ‘conventional’ formation is one permeable enough to flow without ‘stimulation’, while an ‘unconventional’ formation is ‘tight’, insufficiently permeable to flow at commercial rate unless stimulated – by techniques such as fracking or acidising. Oil and gas prospectors are happy to tell shareholders and potential investors that their target strata in the Weald are unconventional, while telling the public, planners and government that they are conventional. The incorrect government definition explains why, when the newly allocated Petroleum Exploration and Development Licences (PEDLs) were announced in 2016, all the licence areas across the Weald were listed as conventional. Yet the Kimmeridge limestone (micrite) is ‘tight’ thus unconventional, and the deeper-lying oolite limestone is sometimes tight and sometimes not. This is important – ‘conventional’ sounds safe and cosy. It soothes the public, planners and the media. What is planned for the Weald is unconventional, intrusive, polluting and unacceptable. The industry likes to call acidising ‘conventional’, sneakily meaning that they’ve been doing it for ages. But in industry manuals and literature, ‘conventional’ is used to indicate a free-flowing formation, and has come to be used for the methods used in these formations, as well as the oil and gas that emerges from them. Acidising is indeed used in free-flowing, conventional wells for cleaning purposes. But when used to stimulate flow in formations of very low permeability, acidising is unconventional. This is another wild card in the industry’s game of words. Guided by industry advisors, the fossil fuel-hungry government inserted a new definition of fracking into the complex Infrastructure Act of 2015. Once upon a time the industry considered a formation to have been fracked when the rock fractured. Pressure was the deciding factor, different within each formation. Under the new legislation, fracking means fracking only if a certain volume of water is used (over 10,000 cubic metres per well, over 1,000 cubic metres for each section of the well). That allows much old-style fracking to slip under the radar. And it could mean that an acid frack will no longer be called an acid frack, especially if new gel and ‘squeeze’ technologies are employed to reduce the amount of water used. Recent planning applications have chosen vocabulary such as ‘low volume’ and ‘non-massive’, presumably eager to fit outside the government’s new definition of fracking. We do have oil-bearing shale in the Weald. The Kimmeridge limestone lies in shallow bands within it. A few years ago, when Cuadrilla arrived in Balcombe, fracking the shale was their objective. One day it may be their objective again. But for the time being here in the South East we need to turn our attention to fighting acidisation of the Kimmeridge limestone and the oolite. They mention only acid washing, never escalating the issue to matrix acidising or acid fracking. They suggest that hydrochloric acid is always totally neutralised underground when it meets the limestone. This is not true. Flowback can sometimes be highly acidic. They should properly address the issues of waste water (flowback and produced water), which may be acidic, toxic, super-saline and radioactive. Detailed plans should specify how and where the waste would be treated. Companies play a game of ‘grandmother’s footsteps’, getting permission first to drill, then to test, then to produce. Planners and regulators focus only on the current application. Seemingly only we in the communities grasp the bigger picture. In the USA, acidising has likewise been little scrutinised and barely regulated, but some states have now proposed regulation of both matrix acidising and acid fracking. Keith Taylor, Green MEP for South East has also produced a leaflet on acidisation. Millions of gallons of toxic wastewater will be produced from every new well, with about half remaining in the ground. This wastewater contains the chemicals used in fracking fluid, which have been shown to cause cancer, death, birth defects and other severe health problems. It also contains harmful contaminants from deep underground, including numerous carcinogens. Disposal of this wastewater has caused major problems. Conventional treatment facilities can’t treat it, meaning the contaminants just flow right through these facilities, into rivers and streams. The other option is “deep underground injection” disposal, which is causing earthquakes. Underground Contamination. Much of this toxic wastewater stays underground indefinitely, subject to forces beyond our control. Drilling and hydraulic fracturing creates new pathways for fluids or gases to migrate and potentially contaminate vital underground water resources. Surface Contamination. Fracturing fluid chemicals, contaminated wastewater, dredged up heavy metals and radioactive material can leak or spill from wellbores, wellheads, flowlines, trucks, tanks and pits. Those leaks and spills can contaminate our air, soil and water. Depletion and degradation of surface freshwater and shallow drinking water aquifers. Massive amounts of clean water are taken from lakes, ponds, streams and shallow aquifers for fracturing operations. The scale of this industrial drawdown, and subsequent contamination with fracking chemicals, will degrade water quality and could lead to water scarcity. Naturally Occurring Radioactive Material (NORM) is found in shale rock at high concentrations and is likely to be discharged into drinking water supplies due to leaks, spills, or inadequate waste treatment. dangerous quantities from the wells. Here are 20 KEY IMPACTS of drilling for SHALE OIL & GAS identified by Frack Off. Which ones worry you the most? Large volumes of water are returned to the surface. Known as produced water it is contaminated with chemicals used in the fracking process and materials leached from the shale rock including heavy metals and radioactive elements. Additional pollution of aquifers and surface water is caused by methane migration, leaking wells, spills and accidents. Picture shows tanks of radioactive produced water at Preese Hall, Lancashire. A wide variety of dangerous pollutants, including ozone, aromatic hydrocarbons and silica dust are produced by the drilling and fracking process. The ozone levels in previously pristine areas are now higher than central Los Angeles. Additional air pollution is created by construction work, drill rigs and machinery. There is a growing catalog of human and animal health impacts associated with this industrial activity. Picture shows emissions from a condensate tank taken with an infrared camera. Pipelines will inevitably be used by the industry to transport gas. They create the additional danger of leaks and explosions. Pipelines may also be used to transport waste water to processing plants and there is already evidence of these leaking. Pipeline construction cuts scars across the countryside and blights surrounding areas with planning restrictions. A sprawling temporary gas infrastructure is needed to connect thousands of sites across the landscape. Flare stacks burn off unwanted gasses on every site and cause noise/light pollution and toxic emissions. Noise pollution and further emissions of methane and airborne pollutants occur as the gas is processed and pressurised. The more the oil and gas industry invest in drilling and fracking equipment the more drilling and fracking will happen. The impacts and dangers are acute and borne by local communities who find themselves living in gasfields. The rewards go to an elite of shareholders, directors and investors. Stopping this industry in the UK will send a clear message to other countries that the impacts and dangers are unaceptable. 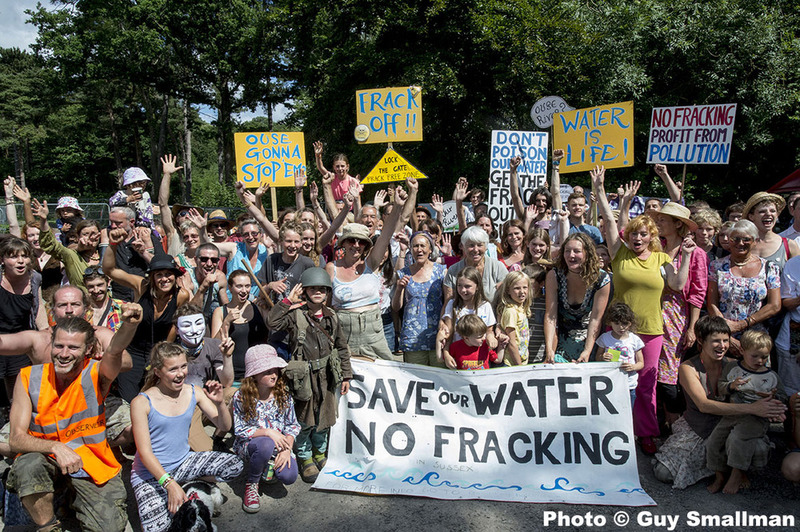 Frack Free Sussex is a collective of extremely concerned local people, from all walks of life, defending our right to clean air and fresh water. As residents of Sussex we all share a great love of our county's downland, meadowland, woodland, farmland and beaches. Since the protests at Balcombe in 2013 the community resistance to fracking and all forms of extreme energy extraction has continuously grown. We are determined to stop this polluting industry. Fracking in the US, South Africa and Australia has caused serious water and air pollution, resulting in widespread sickness amongst people, livesotck and pets. There is ample evidence of this, countering unequivocally the reprehensibly erroneous safety claims of many of our Ministers. It is essential that we learn from the evidence and do everything we can to prevent this happening in Sussex. This group is being set up for farmers, producers, caterers and foodies across Sussex who oppose the contamination of our water and soil and agree that oil & gas production in Sussex would seriously threaten other local industries. Please go to our Food Not Fracking page to see howyou can be involved.